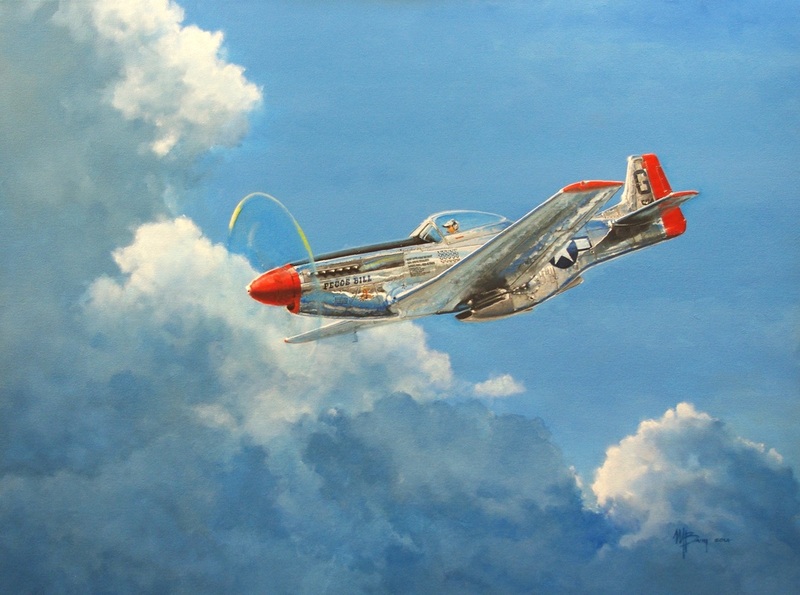 I recently hooked up with a group called "Freedom Flyers" - They spend an incredible amount of time and money giving rides to WWII veterans in their very own P51-D, "Pecos Bill". I offered to donate a painting to the organization to use as a fund raiser. Pecos Bill is not an ordinary WWII shoot-em up - this is a vanity shot of one beautiful aircraft. Original is in a private collection - open edition prints are available!